Each Corrugasket® is dimensionally accurate. Unlike cut or stamped gaskets, size and thickness do not vary since the gasket exactly reproduces the precise tolerances of the moulding tool. The concentric corrugations across the Corrugasket's surface act as separate sealing planes to compensate for any defects in the flange, whether through corrosion, scores or even un-machined surfaces. Cut or stamped gaskets are usually taken from calendared sheet material which by its very nature isn’t flat and so can lead to uneven force requirements when tightening. In its uncompressed state, the Corrugasket is 4mm thick. Optimum sealing efficiency is achieved at approximately 0.4mm compression or 3.6mm gasket thickness. Maximum sealing efficiency with minimum compression. The Corrugasket's corrugated surface not only gives exceptional sealing efficiency, it also reduces significantly the bolt-torque required to achieve an effective and long-term seal. 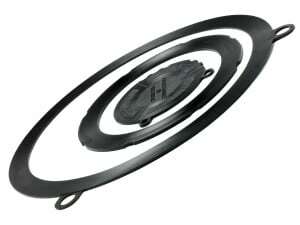 This in turn leads to reduced compression on the gasket and to the increased life of the complete flange assembly. Our unique multi drilling design means that every Corrugasket is suitable for a range of pressure classes from PN 10 to PN25. On sizes from 350mm upwards, the simple but effective lugs retain the gasket in position whilst the bolts are being fitted. Simply there is no better seal. The gasket design is proven in terms of faster, easier fitting, longer life and the materials used have the full acceptance of the Water and Gas authorities to the latest specifications. Corrugaskets are streets ahead of cut or stamped gaskets at every level of performance and VIP’s 100% quality control give you the ultimate guarantee. 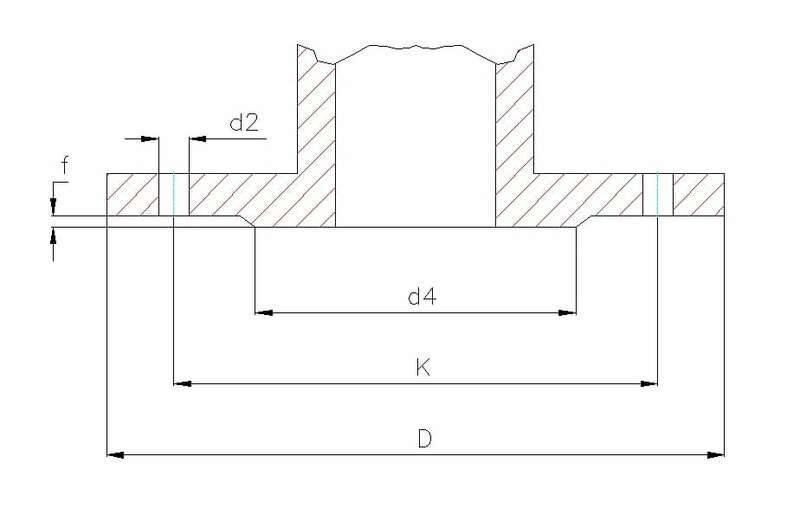 Align flange so that top two bolt holes are positioned evenly, one on each side of central vertical axis of flange. Lay Corrugasket in place with bottom edge resting on bolts ensuring notches locate around bolt holes. On "Locator" type Corrugasket only, insert two bolts into holes on upper half of flange. Match opposite flange face to flange with gasket and insert remaining bolts. Suitability of non-metallic materials and products for use in contact with water intended for human consumption with regard to their effect on the quality of the water.